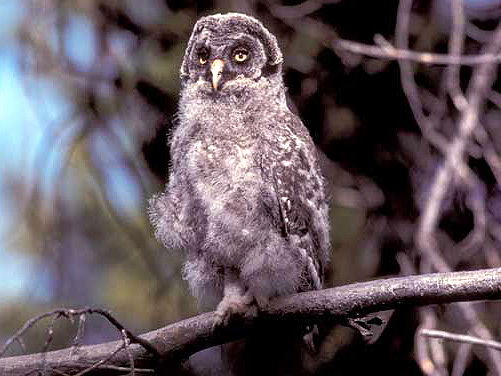 Great Gray Owls lay two to five eggs in nests which are located in mixed stands of Douglas fir, lodgepole and Ponderosa pine. Nearby meadows provide areas for owls to hunt for rodents and feed nestlings. Dave Menke, Klamath Marsh National Wildlife Refuge, Klamath Co., Or.